Short Information: Bundelkhand University, Jhansi Are Recently Uploaded Entrance Exam Result for the Session 2017 for the Various UG/PG /Diploma Courses 2017. Those Candidates are Interested to the Following Admission in BU Jhansi and Complete the All Eligibility Creteria Can Read the Full Notification and Download Result. Under Graduate Courses: B.A, B.Com, B.Sc in Various Subjects, BCA, BBA, B.F.A, B.P.E, BPT, B.El.Ed, B.Lib, LLB, B.PEd, BALLB. Post Graduate Courses: MA and M.Sc in Various Subjects, M.Com, LLM, M.Pharma, M.Ed, MSW, MFC, MFA, MHM, M.BE, M.A.E and Other Various Courses. For UG (Under Graduate): 10+2 Intermediate Exam Passed. For PG (Post Graduate):Candidates Passed Graduation Degree . For More Details Kindly See the Full Notification. Step 2 : Enter Your Registration ID/ High School Roll No. and Date of Birth (DOB). Step 3 : Click on Download Admti Card Button. 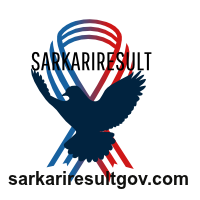 Registered Candidates Can Download Entrance Exam Result.